Chinese authorities have confirmed that they have handed down a three-year jail sentence to a man convicted of selling VPNs illegally. It is just the latest example of the systematic crackdown on online freedoms being perpetrated by the Communist regime in China. It is believed to be the first time that someone has been convicted of criminal offences as a result of selling VPNs in China, although most experts would agree that it is unlikely to be the last. The man in question was named Dai Mou and his background was as a software developer for a securities management company. However, in April 2016, he is alleged to have set up a website to sell VPN services to Chinese people enabling them to evade the Communist Party’s program of online censorship and surveillance commonly known as the Great Firewall. Dai Mou apparently rented servers from international service providers and developed a VPN interface which allowed users to access blocked websites from inside China. At the time of his arrest in October 2017, he is reported to have had hundreds of users of his VPN service. He was convicted by the Shanghai Baoshan District People’s Court of providing ‘the procedure of intrusion, illegal control of computer information system procedures and tools. In other words, he was enabling people to make their own decisions about which websites to visit and empowering them to act as they liked online without fear of reprisals from the Communist Party. His VPN network has now been dismantled and Dai faces a jail sentence, suspended for three years, and a sizable fine. The decision to make the case public is no doubt intended as a warning to other VPN operators in China that they can expect to face similar punishment unless they fall into line. Operating a VPN inside China is illegal unless you have registered your service with the Communist Party first. Given the importance placed upon online surveillance in China, to successfully register a VPN, you will need to ensure it complies with all local laws. This includes blocking access to censored content and ensuring that law enforcement can access the online records of users. Needless to say, for most Chinese internet users, this makes local VPN services completely useless. All other VPNs are banned in China. Unofficial local ones can expect to be swiftly shut down and their operators to face criminal charges, such as the those Dai Mou has been convicted of in this case. 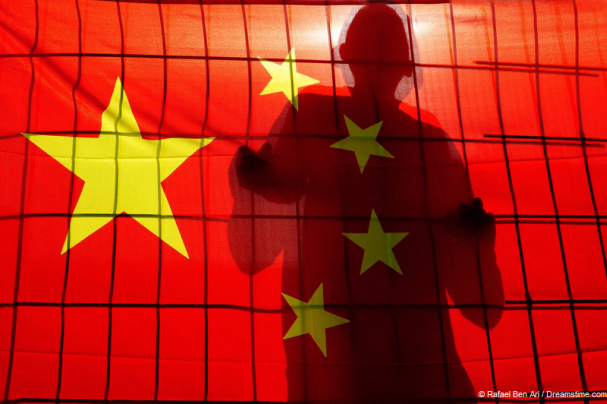 International VPNs are now supposed to be blocked in China. However, efforts by the Communist Party to implement this block has so far failed. Some well-known international VPNs are now unavailable in China. But many more, such as ExpressVPN and NordVPN are still available. To find out the best VPNs to use in China, a good place to start is our article on Best VPN for China 2018. If you are living or visiting China, a VPN remains an essential tool for almost every regular online task. Without a VPN, you will be unable to access almost all international social media sites such as Facebook, Twitter, and WhatsApp. VPNs are also required to access any news or information which is not in line with the Communist Party’s strict online censorship laws, which basically outlaw anything that isn’t their own propaganda. And if you want to be able to speak freely online without fear of reprisals, a VPN is vital as Communist Party officials are watching what every Chinese citizen does online. There are no doubt plenty of local VPNs, such as the one operated by Dai Mou, still available in China. But it is advisable to avoid using these. Either they will be compliant with local laws and therefore useless, or they will most probably not be around for long. And it is also possible that users of such VPNs could face legal repercussions themselves too. It is much better to make use of a reputable international VPN service, which you can be sure will be doing everything in its power to stay online in China no matter what legal and high-tech challenges are thrown at it by the Communist Party.